Ever since human beings have walked upon the Earth, they have found ways in which to pass on their knowledge, skills, methods, values and traditions to succeeding generations. It is in this way that we humans have survived and prospered in our little corner of the universe. Few people have ever had to start life without some knowledge already made available to them by those who came before. Passing on of information is called education. The word itself derives from the Latin ēdūcere, which translates as “to lead forth, to elevate,” presumably to lead out of ignorance or into enlightenment. The metaphorical symbol of light as learning and understanding is so ingrained in human consciousness, that it is still seen in cartoons as a light bulb coming on in a character’s mind when he sees a solution or grasps an idea. Today the needs of individuals, even whole societies, are almost unimaginably different from those of our progenitors of hundreds of generations ago, or even a dozen generations ago. Then all there was to learn was a relatively small collection of “tricks of the trade” as pertained to hunting, gathering, weapon making, and other day-to-day survival skills. Any person of average intelligence could absorb enough in their first decade or so of life to get by. Only specialists, like trackers or shamans needed to know more. Now even the most unskilled members of a modern society must master thousands, or even millions of times as much just to keep from being overwhelmed by the demands of contemporary life. Those who aspire to more, to lives of greater comfort, or power, or contribution, must learn and understand countless millions of times more than their forbearers of only a few centuries ago. Clearly the days of the one-room schoolhouse are as far in our past as chain mail or wooden wheels. Here are the topic discussed in this module. We tend to take for granted that the purposes of education are clear and eternal, but is that really true? 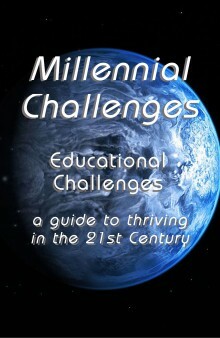 In the new millennium the very nature of education is changing and will continue to in ways both subtle and radical. What are the new roles of learners and teachers? The relationship between teachers and learners is changing very rapidly, and it is hard to come even close to keeping up. What will it take to stay abreast of this evolution in education? Who are the students and what will they learn in the future? The answers have always been pretty clear, but those days are over. It is time to take a fresh look. The role of teacher is changing at least as much and as fast as that of the learner. Technology, globalization, and the needs of individuals and societies is dictating massive changes. What will they be? Teachers no longer need to be physically present to teach, though sometimes it is still the best way. The question is when? We have technologies available today, with more coming daily, for imparting knowledge. What are the trends? What are the advantages and disadvantages? Who shall decide? Nowadays, and even more so in the future, learning at a distance is widely available. How will this affect the practice, and even the very definition of education? If children don’t attend traditional schools to learn, how will they become socialized? What other options are available? In the world of today, and even more so in the future, learning does not end with graduation from high school or ever college. It is a lifelong process. How will we manage this in the future? The day of the generalist is just about gone. Today it’s all about specialization. But doesn’t that make us all narrow and compartmentalized? Or is there hope for the well-rounded human beings?